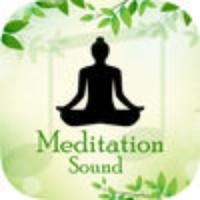 Meditation Sounds offer a delightful collection of gentle and soothing sounds which will help you feel relaxed and put you to a peaceful meditation.These wonderful melodies will also help you fall asleep and reduce stress. Meditation Sounds are meant to provide calm atmosphere and you will absolutely love them! Download this lovely app, share it with your dearest friends and enjoy top relaxing meditation sounds right now, completely free of charge! Meditation Sounds is a lovely new app for Amost wonderful sedating sounds that will help you relax and simmer down after a hard and busy day. Some of the great features 1. High quality Meditation Sounds 2. You can customize Meditation sounds as you like 3. Optional piano tracks in the background 4. Simple and beautiful design 5. Timer so the app turns off automatically 6. Beautiful background images You can enjoy Eleven different Meditation sounds 1. soft Piano 2. Peaceful lake 3. Night Sky 4. Sunrise 5. Heaven 6. Perfect rain 7. Inspirational 8. Autumn forest 9. convent 10. ocean relaxation 11. Temple in the hill So Relax your mind, remove the stress and find your inner peace. Go into your oasis of calm. If you have any comment or suggestion please let us know so we can make this app better. Check these links to find your download for Meditation Sounds for & iOS or for your device iPod TouchiPhoneiPad. The app Meditation Sounds is compatible with te following devices.